Nikon D750 Training Tutorial Video Now Available! Great News Everyone! Tonight we finished and posted our UPDATE - Our Nikon D750 Tutorial Training Video Download is now available for sale. 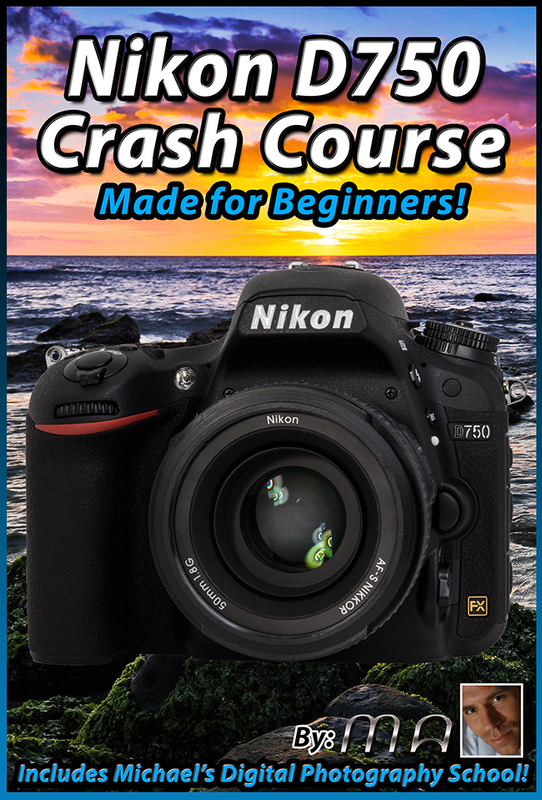 You can order it by Clicking Here --> Nikon D750 Tutorial Training Video Crash Course - Download Only on our store, it is available now for immediate purchase and download anywhere in the world. I've been shooting with the Nikon D750 for many weeks now and I have to say, I am very, very impressed with it. - Nikon Fixed the Live View / Aperture control bug we saw in previous models, you can now both change your aperture as well as see it in live view at the same time. Yay!! All that said, it is as complex and difficult to learn as ever. The menu systems are completely loaded and some of the controls are a little counter intuitive. Once you know how to use it, it will be a complete pleasure to shoot. This is my favorite Nikon camera to date. Ill have some little tests coming soon, but suffice it to say it compares extremely well to the Canon 5Diii , which while is an older camera (over 3 years) it has been considered by many to be the best all round Full Frame DLSR for that time. The D750 really gives it a run for its money, and at a cost of $1100 less, it is without question in my mind a better value camera.